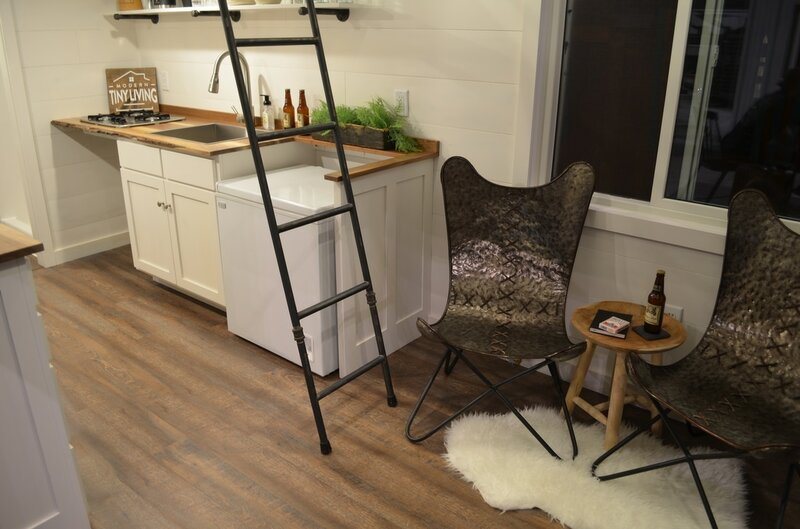 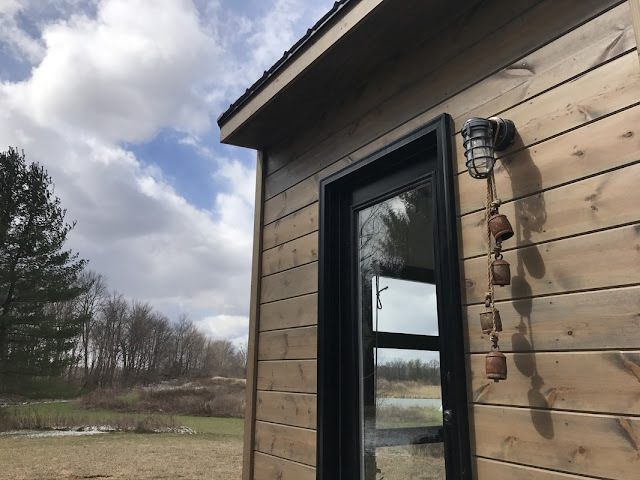 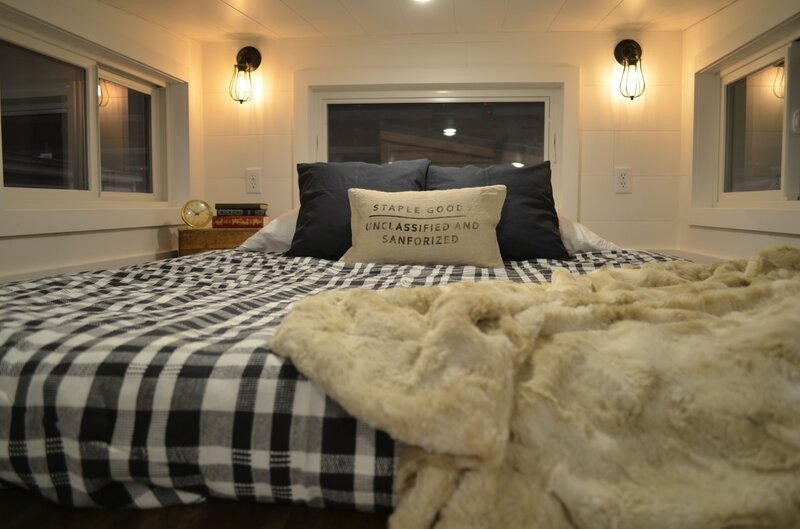 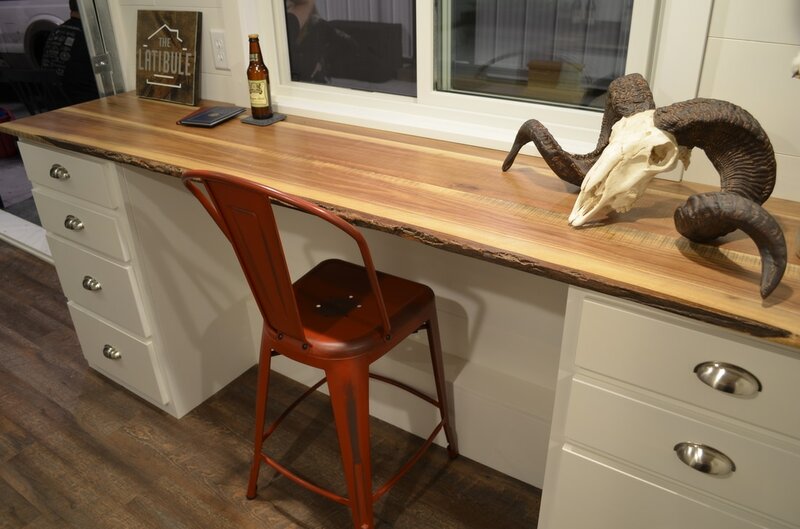 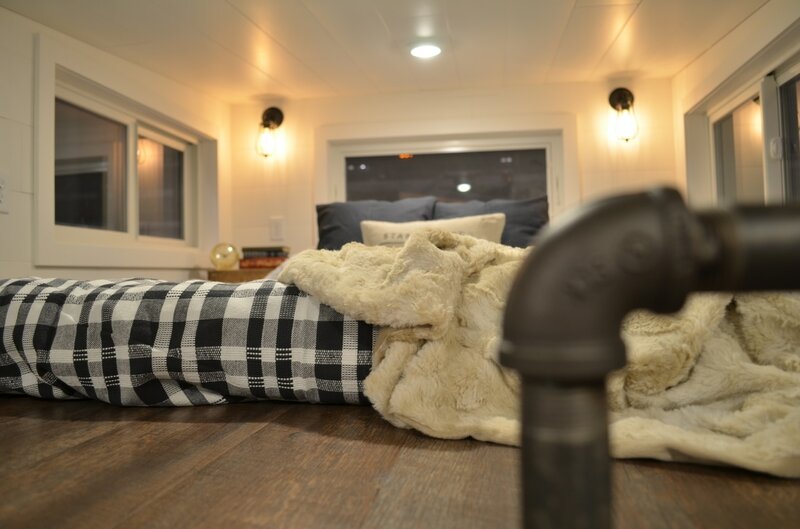 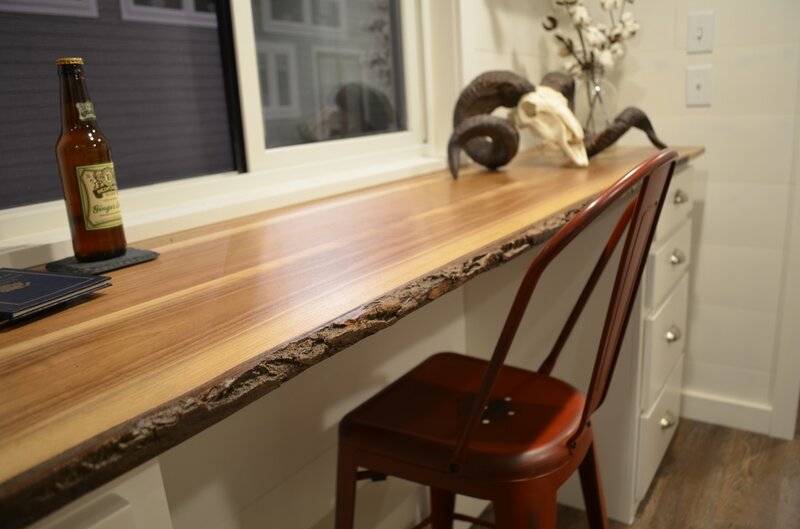 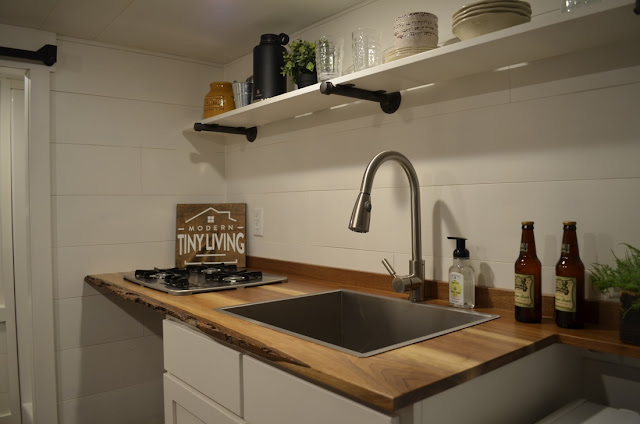 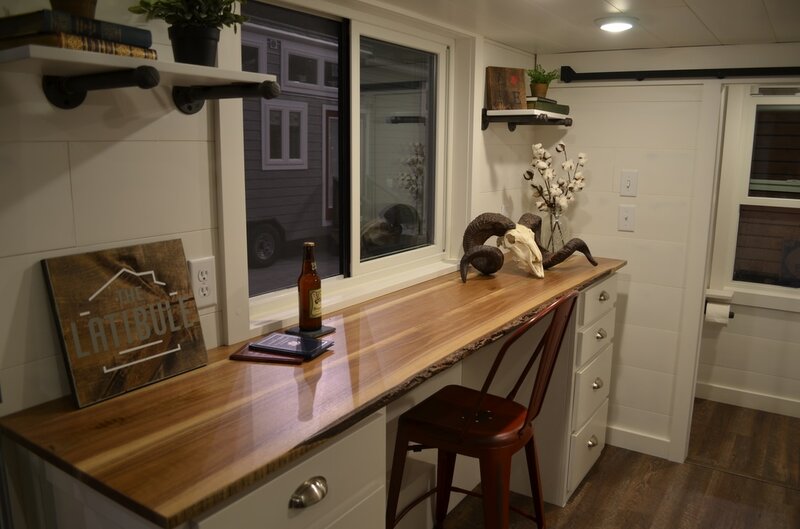 The newest tiny house from Modern Tiny Living exudes style and expert craftsmanship throughout the home! 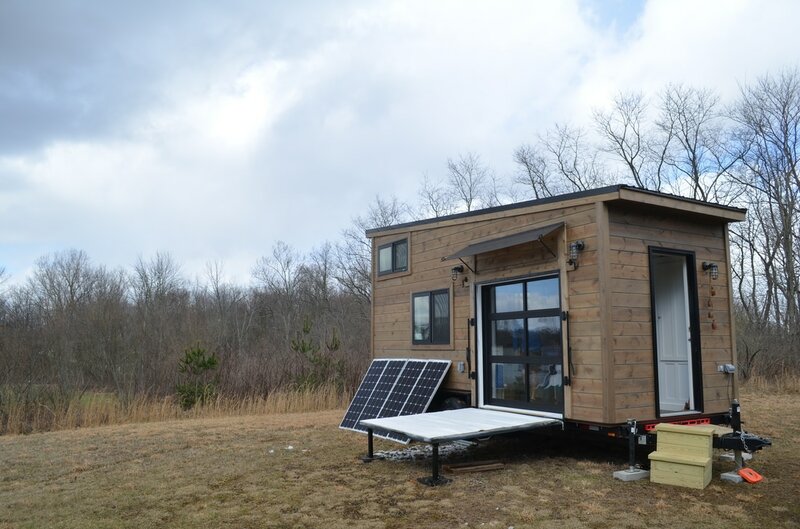 Named "The Latibule", the home was a custom built for a client that's solar powered and off-grid. 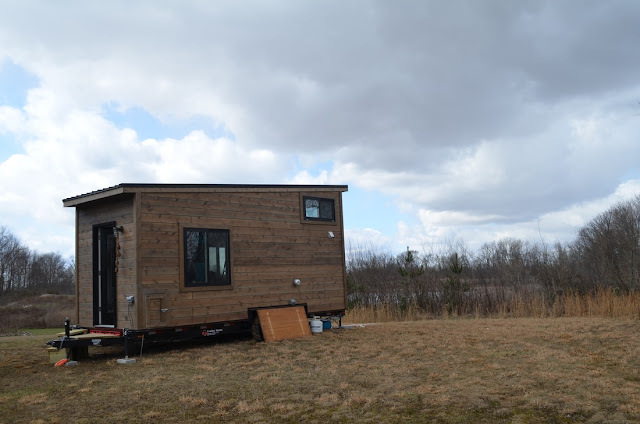 The home is 20 ft long and has an exterior of pine siding with a metal roof. 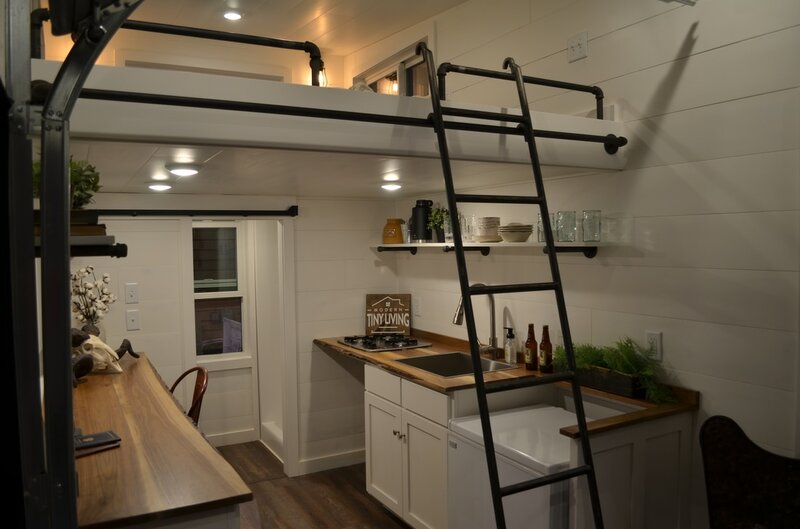 Inside the home' 210 sq ft layout is a full kitchen, living room space, bathroom, and loft bedroom. To bring the outdoors in, Modern Tiny Living added a glass garage door to allow in fresh air when wanted. 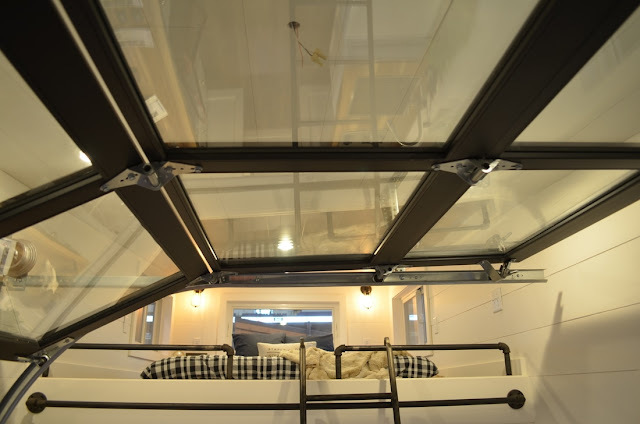 There's also a fold-down spring-loaded deck! 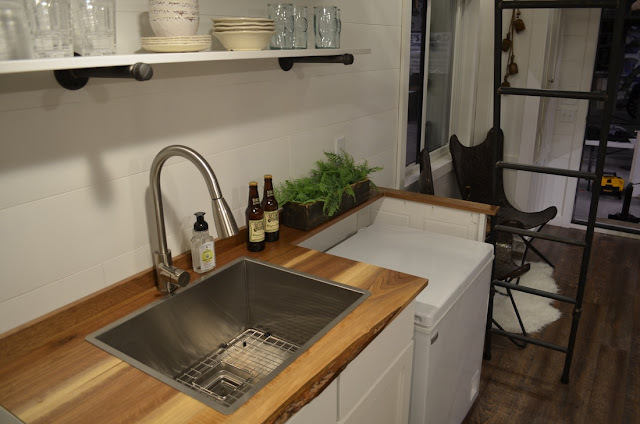 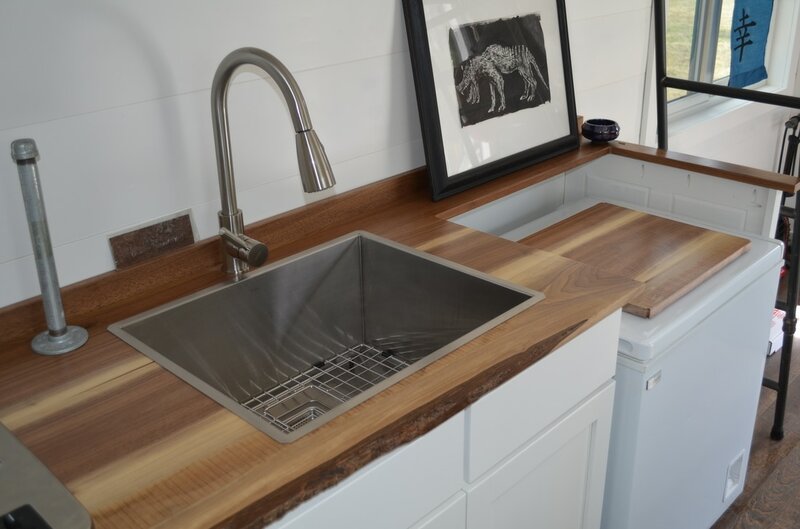 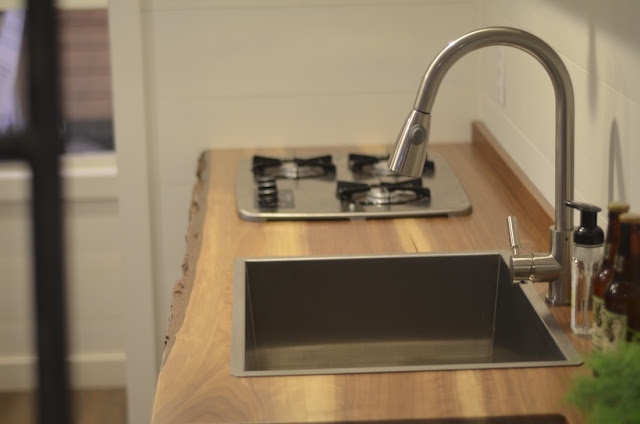 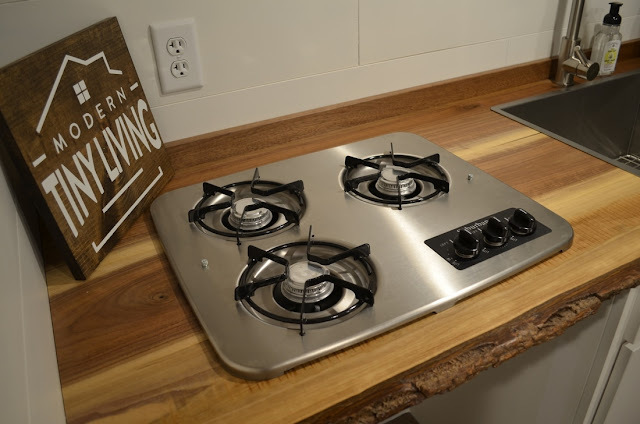 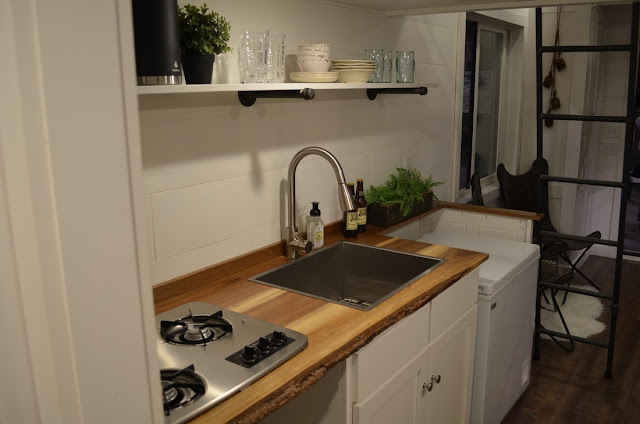 The Latibule's kitchen comes outfitted with a modern sink and faucet, a three-burner stovetop, a refrigerator, and reclaimed wood counter space. 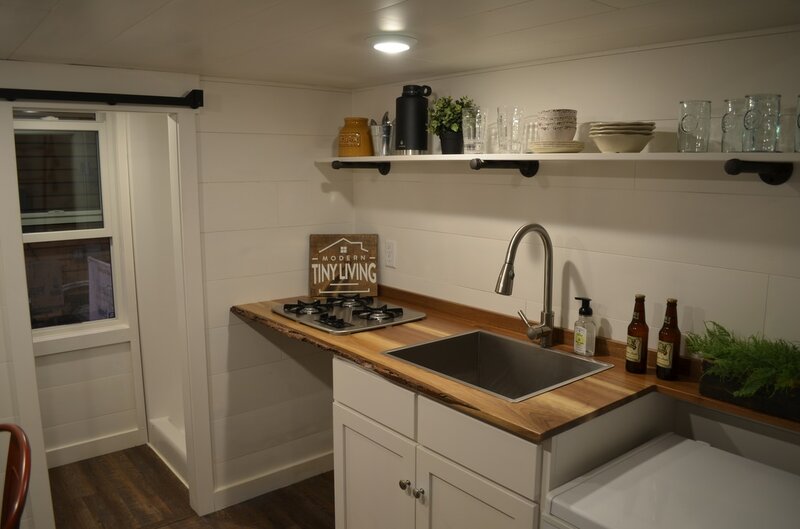 Also included with the home is a propane tankless water heater, an 11,000 BTU Propane Heater, a 50 amp plug-in, and a 20-gallon gray water run-off water tank. 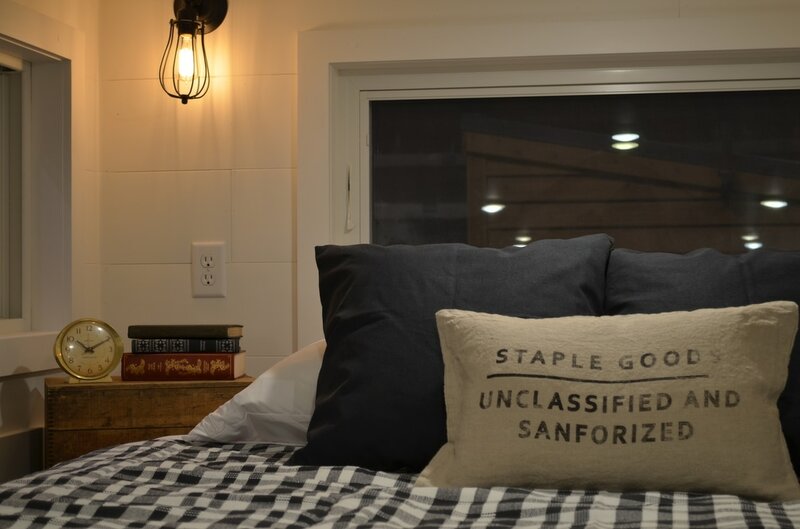 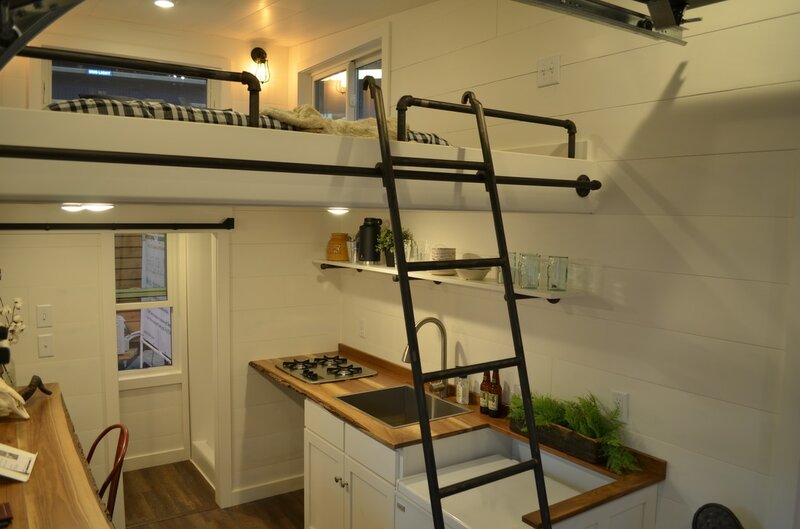 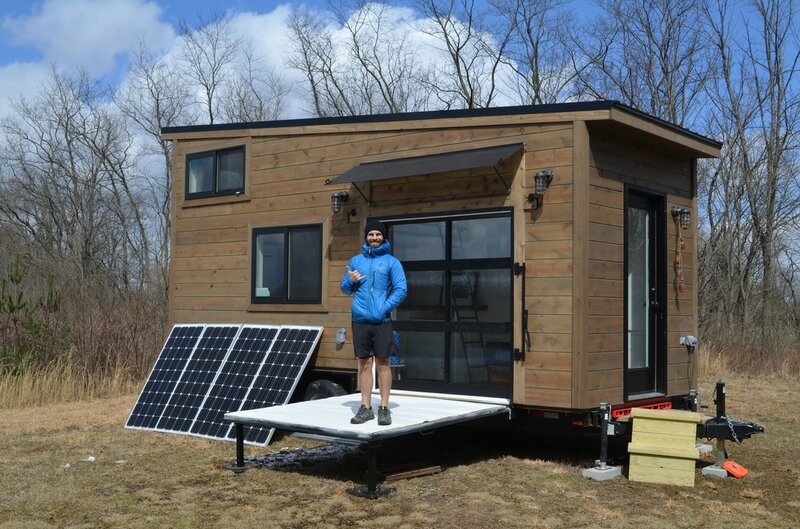 You can custom order this home from Modern Tiny Living for $69,000!